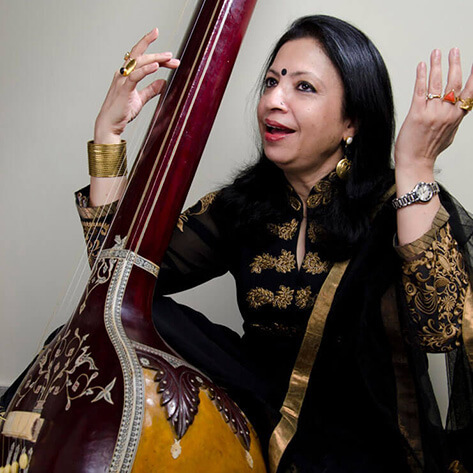 Rashmi Agarwal is a versatile and accomplished Indian singer.She is known for Roohdari – The Mystic Voice; The Z Factor; Roohdari Rang. Her Albums include; Rang De Maula;Sentiments, Songs of Kabir; Folk Songs from Uttar Pradesh; Enchanting Chants;Deep Electric and Soul Box.Her tributes to great artistes like Begum Akhtar, Mallika Pukhraj, Meena Kumari, and poets like Faiz Ahmed Faiz, Kaifi Azmi, and Mohiuddin Maqdoom have been acclaimed. Rashmi is an empanelled artist of the Indian Council for Cultural Relations.She has performed on various national and international forums including, the Jaipur Literature Festival, the Jaipur Sufi Festival, the Ethnic World Music Festival, Bali and, in the USA, UK, Uzbekistan, Turkmenistan, Australia etc.